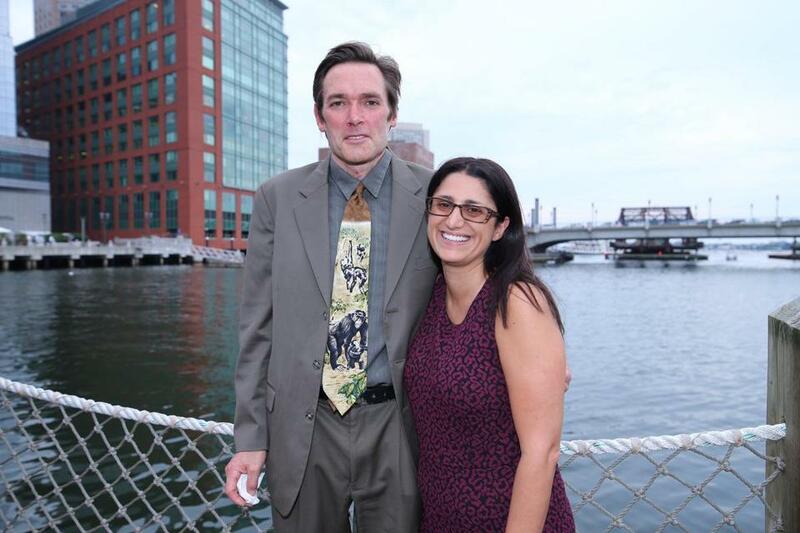 Professor Marc Edwards and Dr. Mona Hanna-Attisha. The scientist and the pediatrician who helped expose the Flint, Mich., water crisis were named winners of the inaugural “Disobedience Award” from the Media Lab of the Massachusetts Institute of Technology on Friday. Marc Edwards, an engineering professor at Virginia Tech whose tests of Flint water showed dangerous amounts of lead, and Dr. Mona Hanna-Attisha, a pediatrician whose research revealed that children in Flint had high levels of lead in their blood, will share a $250,000 prize. The MIT Media Lab held a ceremony Friday in Cambridge for the awards, which were established to reward whistleblowers and activists whose work bucked conventional wisdom for social good. The efforts by Edwards and Hanna-Attisha proved the assurances by Michigan authorities that the water in Flint was safe to drink was false. The award was created by Ethan Zuckerman, director of the Center for Civic Media at MIT, Joi Ito, director of the MIT Media Lab, and LinkedIn cofounder Reid Hoffman. Hoffman funded the $250,000 award, as well as $10,000 awards to finalists. Ito said they created the contest to reward activists for boldly challenging social wrongs, but in a civil way. He cited Rosa Parks, whose refusal to give up her bus a seat to a white man in 1955 Montgomery, Ala., triggered nationwide civil rights protests. “She was at the right place at the right time, and her disobedience, she realized, could trigger a big change in society,” Ito said in a statement to the Globe. Other finalists of the Disobedience Award included: a group of Native Americans who started the Standing Rock protests against a controversial pipeline; a group of professors at the University of Georgia who founded a program that offers free classes for undocumented students; and Columbia University adjunct professor James Hansen, whose research on climate change has come under fire.